Former Pakistan Prime Minister Nawaz Sharif and his wife were arrested as soon as they arrived at Lahore airport in Pakistan. The atmosphere in Pakistan is currently tense. Nawaz Sharif has been convicted in a corruption scandal and was sentenced for 10-year imprisonment. Nawaz Sharif corruption scandal had surfaced after Panama Papers had leaked a couple of year ago, which exposed him and other renowned people around the world. Former Pakistan Prime Minister Nawaz Sharif and his daughter Maryam Nawaz were arrested on Friday night as soon as they arrived at Lahore airport, Pakistan. The former Prime Minister was convicted in a corruption scandal after Panama Papers leak had happened a couple of years ago. Nawaz Shari has been sentenced to 10-year imprisonment by a Pakistani court. 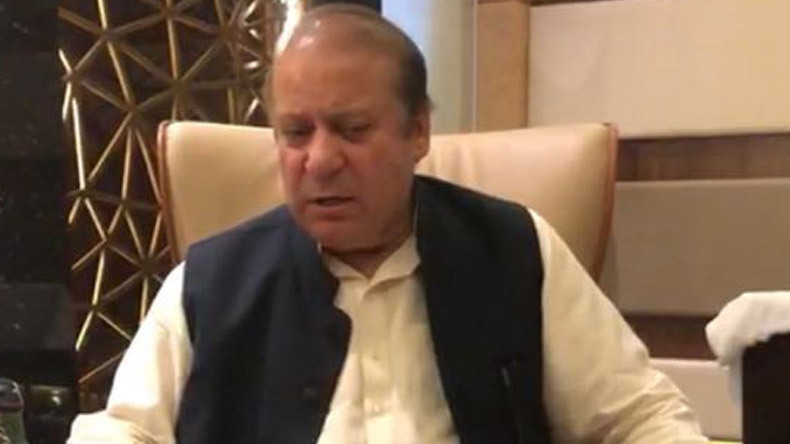 Ahead of his arrival in Pakistan, there is a tense atmosphere, which is currently prevailing in the country, though the local authorities are monitoring the situation. 11:30 pm After being arrested, Former Pakistan Prime Minister Nawaz Sharif and his daughter Maryam Nawaz have been taken to taken to Adiala jail in Rawalpindi, according to reports. 10:10 pm: Nawaz Sharif and his daughter Maryam Nawaz has been arrested at Lahore airport. Both will now be taken to Islamabad. 8:40 pm The Etihad Airways flight carrying Nawaz Sharif and Maryam Nawaz to Pakistan has been diverted to Islamabad from Lahore. 8:30 pm Ahead of Nawaz Sharif’s expected arrest, the situation is tense in Lahore and some incidents of stone pelting have also been reported.